Aniri is the Third Daughter of the Queen of Dharia—and she has zero royal duties. 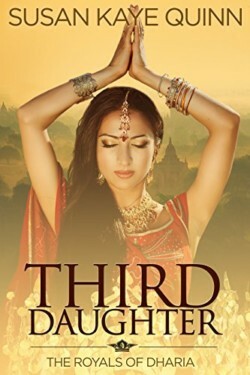 She’s just the backup daughter, in case her older sisters’ arranged marriages don’t quite work out. But then the impossible happens—a marriage proposal. From a barbarian prince in the north, no less. And if Aniri refuses, the threat of their new flying weapon might bring war. So she agrees, only to discover the prince has his own secrets… and that saving her country may end up breaking her heart.